DARKEYE VOLUME 1: WILD DOG CITY is now available for purchase!! 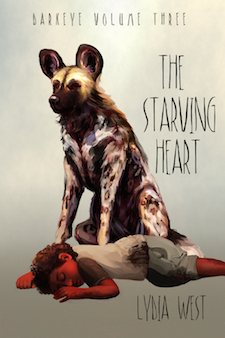 As far as Mhumhi knows, the city has always been ruled by painted dogs, hulker monsters are evil, and nobody will ever run out of food. Ultimately, Mhumhi finds himself responsible for two orphaned hulker children, and faces a choice: should he abandon them and go back into the sunlight, or should he finish what his mother started? Thanks again to everyone who helped make this project possible! 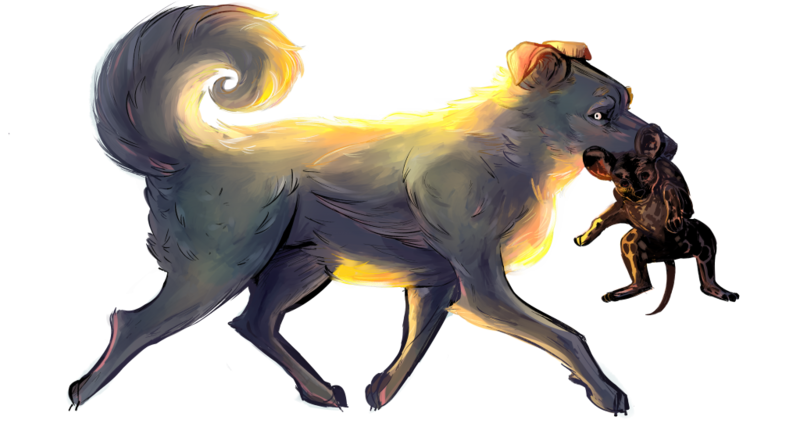 Art of Pariah and Mhumhi by alizabug!